There's a troubling pattern emerging in Microsoft's new "mobile first, cloud first" product strategy: The Mac is last, if on the radar at all. Seeing as how Microsoft portrays its new application strategy as serving a heterogeneous world and no longer being dependent on Windows to drive growth, that Mac omission seems odd. But it's clearly what Microsoft is doing. And I think I know why. First, the evidence. Yesterday, Microsoft announced its Sway dynamic presentation tool -- its postmodern PowerPoint app -- would be coming to Windows 10 on July 29 (Windows 10's formal release date), following beta releases for iOS. An Android version is also under development. But no Mac version is coming; Mac users will have to use the Web app. 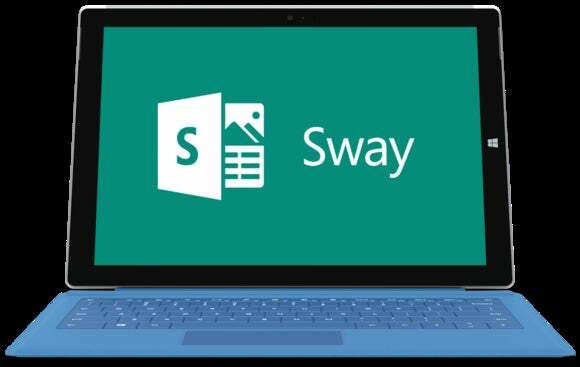 Microsoft claims that the reason it has a native Windows 10 version of Sway but not a native OS X version is because it's meant to be used in a browser on the desktop. Because of the universal Windows app approach, Microsoft needed to create a Windows 10 Sway app for use on Windows tablets and smartphones, so that in essence forced the creation of a desktop app too. Maybe, but why have that universal app on the desktop, even if it needed to be created for other devices? And if Microsoft figures why not make it available on the Windows desktop, then why not make the Swift app for iOS also available for OS X -- after all, it's the same core code in Apple's Xcode environment as it is the same core code in Microsoft's universal environment. Basically, I think Microsoft's rationale is an excuse, not a reason. Microsoft's OneDrive for Business cloud storage tool has only a beta version for OS X, but it has had iOS and Android clients for some time and is fairly well integrated into Windows. The assumption is that Mac users would use the Web client instead. The pattern is the same: The Mac client is last and least. Now, the why: Microsoft may claim to have a cloud-first, mobile-first strategy, but the company actually remains centered around Windows, with the cloud and mobile treated as extensions of Windows. That's perfectly sensible -- Apple does the same thing for OS X, after all. The difference is that Apple creates no illusions about not wanting to support Windows more than minimally required. Microsoft hasn't owned up that it has the same notion, and its talk about Macs being one of essentially equal content is not true. For example, a year ago, Microsoft CEO Satya Nadella said, "It turns out I use a lot of devices in my life, and I want that great Office experience and my content available everywhere I go. And that’s the promise of Office 365, that I have my great Office experience on all my devices: PC, Mac, phone, browser and, of course, iPad." The related Microsoft marketing put the Mac in the same bucket as everything else in terms of the new cloud-first, mobile-first strategy for which Office was the leading product. So, if you think that Microsoft is going to treat the Mac as an equal client to Windows, you're dreaming. The company wants Windows as the center, and mobile devices and the Web as the major satellites. The Mac is a rival it does not want to encourage; Windows' decline in the face of the Mac's growth gives Microsoft every reason to shortchange the Mac. That Mac-least approach also suggests that Microsoft is not sure Windows 10 will reverse the PC's decline. I can't disagree with that judgment; I'm fairly confident that Windows 10 won't save the PC. So, if you were hoping you could adopt Microsoft's software and services across all the platforms your employees and customers use, think again. You'll continue to face the long-familiar inferior Mac experience for that segment of your users. That reality has not changed in Microsoft's new strategy. Galen Gruman is executive editor of InfoWorld and author of more than 40 how-to computing books.